BOSTON–(BUSINESS WIRE)– Vertex Pharmaceuticals Incorporated (Nasdaq: VRTX) today announced that the U.S. Food and Drug Administration’s (FDA) Pulmonary-Allergy Drugs Advisory Committee (PADAC) voted 12 to 1 to recommend that the FDA approve ORKAMBITM (lumacaftor/ivacaftor) for use in people with cystic fibrosis (CF) ages 12 and older who have two copies of the F508del mutation in the CFTR gene. Advisory committees provide the FDA with independent scientific and medical advice on safety, effectiveness and appropriate use of potential new medicines. The FDA is expected to make a decision on the approval of ORKAMBI by July 5, 2015 under the Prescription Drug User Fee Act (PDUFA). The FDA is not bound by the committee’s recommendation but often follows its advice. If approved, ORKAMBI will be the first and only medicine to treat the underlying cause of CF for eligible people with CF ages 12 and older with two copies of the F508del mutation in the CFTR gene. People with two copies of the F508del mutation represent the largest group of people with CF. There are approximately 8,500 people ages 12 and older with two copies of the F508del mutation in the U.S.
Cystic fibrosis is a rare genetic disease that is caused by defective or missing CFTR proteins resulting from mutations in the CFTR gene. The defective or missing proteins result in poor flow of salt and water into and out of the cell in a number of organs, including the lungs. In people with two copies of the F508del mutation, the CFTR protein is not processed and trafficked normally within the cell, resulting in little to no CFTR protein at the cell surface. ORKAMBI is a combination of lumacaftor, which is designed to increase the amount of functional protein at the cell surface by addressing the processing and trafficking defect of the protein, and ivacaftor, which is designed to enhance the function of the CFTR protein once it reaches the cell surface. ORKAMBI is an oral medicine that, if approved, would be taken as fully co-formulated tablets that contain both lumacaftor and ivacaftor. By Riley McDermid, BioSpace.com Breaking News Sr. EditorA delegation of executives of Vertex Pharmaceuticals (VRTX) successfully argued today before the U.S. Food and Drug Administration (FDA) Pulmonary-Allergy Drugs Advisory Committee that its cystic fibrosis drug Orkambi has merit, causing the panel to vote 12-1 to approve the drug. For a complete breakdown of the questions asked and how the panelist voted, please click here. There had been some concern the treatment may not be approved after notes form the panel leaked last week showing the FDA had significant concerns about the efficacy or Orkambi. But investors who had been waiting all day for the news and applauded the decision, pushing Vertex up almost 9 percent in aftermarket trading. One of the ingredients of Orkambi is ivacaftor, which Vertex markets under the name Kalydeco. Kalydeco is used to treat patients with one specific mutation in the CFTR gene, not including F508del, the most common cystic fibrosis mutation. Orkambi combines ivacaftor with lumacaftor. Neither lumacaftor nor ivacaftor, by themselves, help cystic fibrosis patients with the F508del mutation. But a combination of the two has shown positive results in clinical trials and the FDA agreed that the benefits were large enough to allow approval. “Despite the questions raised by the FDA and the panelists’ willingness to consider the FDA’s arguments this morning (after multiple speakers during the open public hearing), the panelists this afternoon came out in general support of Orkambi,” wrote biotech analyst Mark Schoenebaum in a note Tuesday. “The panelists generally agree that a comparative efficacy study of Orkambi vs Kalydeco in homozygous F508del patient could be done post-approval if necessary,” he said. 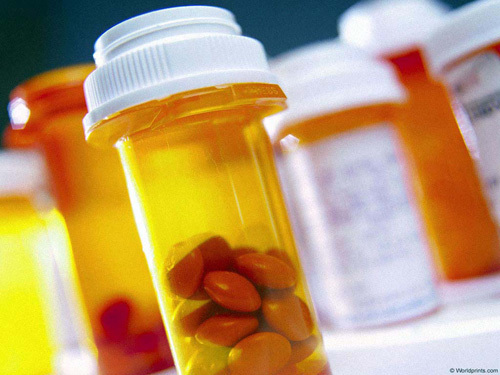 Kalydeco generated $464 million in revenue last year. In the U.S., there are about 30,000 CF patients, but only 7 percent have the specific gene mutation that Kalydeco treats. If Orkambi is effective and gets approved, it could potentially be used to treat about 15,000 of those patients in the U.S. alone, although more likely be applicable about 8,500 patients 12 years and older. However, potential revenue if approved, is projected at $5 billion within a couple years. The Vertex portion of the presentation was concluded by Bonnie Ramsey, director of the Center for Clinical and Translational Research at Seattle Children’s Hospital and the Washington School of Medicine, saying Orkambi “will have a major impact” on her CF patients. News last Friday that the FDA’s Pulmonary-Allergy Drugs Advisory Committee has released its briefing notes ahead of the meeting initially spooked the market, but the company has roared back as Wall Street agreed the document is an overall positive. When parsed thoroughly the documents appeared to show the FDA believes that there is a statistically significant benefit over placebo in FEV1 but has questions about the small treatment effect and the lack of ivacaftor monotherapy and lumacaftor monotherapy controls in the Phase III trials, said analysts. The lead biotech analyst at Citigroup, Yaron Werber, said a closer look at the FDA’s notes show the regulator is generally open to the idea of approving Orkambi. “Given that Orkambi has Breakthrough designation, which provides for enhanced interaction, FDA notes that they and EMA agreed with the study designs and continuously provided constructive guidance,” wrote Werber.